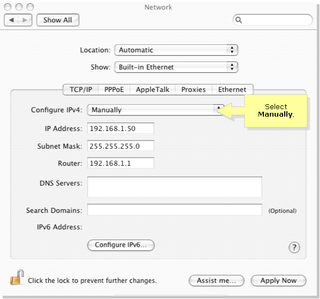 No device can communicate over a network without a valid IP address. Usually, DHCP server is providing Internet Protocol address to computers connected to the network. However, in certain cases, we must assign a static IP address to a PC by our self. There are different ways to assign it to a PC but the easiest method is the DOS method. There is a DOS prompt command to set a static IP address on a Windows computer. This tutorial explains how to configure static IP address from Command Prompt and explain the procedure with a practical example. 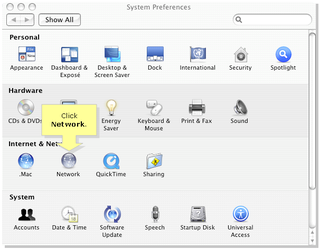 At the end of this tutorial, you can see how to perform the same procedure in MAC. You must start the command prompt as administrator to set static Internet Protocol number on your computer from the command prompt. On Start menu, right click on cmd and click run as administrator. To learn more about it, visit the link below. Type the following command on DOS window. This is the theoretical explanation of configuring a logical address on a laptop without the help of a DHCP server. Now let us check a practical example to learn it. Here make note of the current default gateway and most importantly the Interface name. netsh interface ip set address name="Local Area Connection 2" static 192.168.42.1 255.255.255.0 192.168.42.129 and press enter. You cannot release and renew static IP by using ipconfig/release. There is another DOS Prompt command to release static IP address set on a computer. To learn more about it, visit the link below. Now you can enter the logical number you want to assign for this MAC. After entering the details click on the Apply Now button to save the settings. Just don't forget, if you mentioned GW in syntax, you should also fill in [metric] parameter! !